The public is invited to join Dr. Ilise Levy Feitshans Charoy and Dominique Charoy for their wedding vow renewal on Saturday, Aug. 13 at the Indian King Tavern Museum. 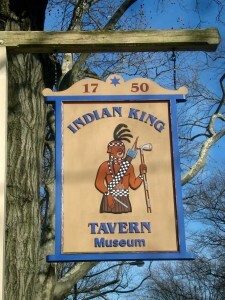 The Indian King Tavern will be open to the public starting 10 a.m. and those attending are encouraged to take a tour before the ceremony. The vow renewal will take place at 3 p.m. in the room where New Jersey was made an official state. A reception will follow, however if interested in staying for the reception RSVPs are required. RSVP at charoywedding@gmail.com.